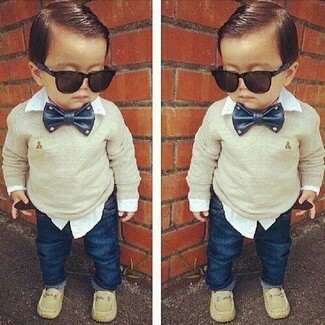 Suggest that your little angel pair a beige sweater with a navy bow-tie for a fun day in the park. As far as footwear is concerned, suggest that your boy throw in a pair of beige loafers. 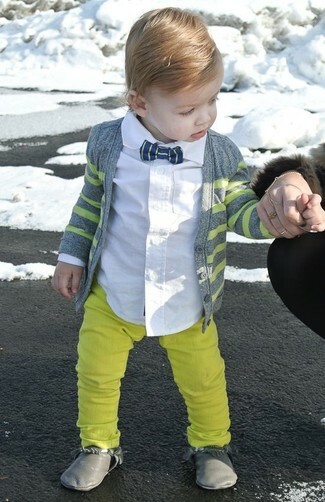 Suggest that your little man dress in a grey cardigan and a Nordstrom paisley silk bow tie for a fun day out at the playground. 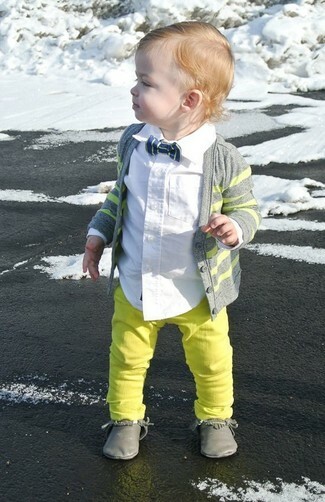 As far as footwear is concerned, suggest that your child throw in a pair of grey desert boots. 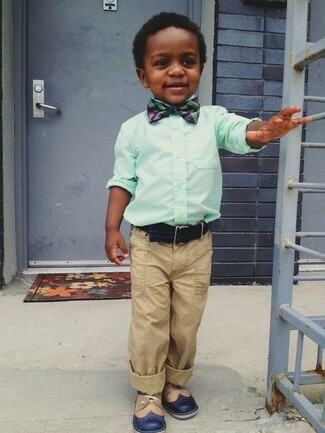 Suggest that your son wear a mint long sleeve shirt with a Nordstrom paisley silk bow tie for a laid-back yet fashion-forward outfit. 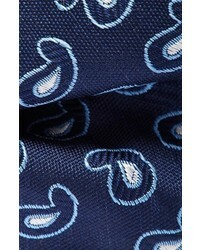 This ensemble is complemented really well with navy oxford shoes. 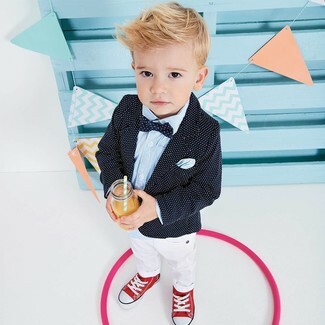 A black polka dot blazer and a navy bow-tie are a nice outfit for your little man to wear when you go on walks. This ensemble is complemented really well with red sneakers. 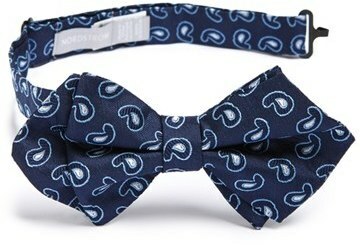 Suggest that your munchkin dress in a grey cardigan and a Nordstrom paisley silk bow tie for a comfy outfit. As far as footwear is concerned, let your little guy choose a pair of grey boots.